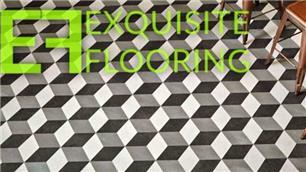 Exquisite Flooring Karndean - Amtico - LVT Specialist - Carpets/Flooring based in Sompting, West Sussex. Exquisite Flooring are specialist (and qualified) installers of Karndean/Amtico Luxury vinyl tiles/planks, carpet, carpet tiles, artificial grass, wood, laminate, click vinyl, vinyl, interlocking tiles, rubber, cork, ceramic and safety flooring. Our fitters are experienced in both domestic and commercial refits of any size. We pride ourselves on providing the correct floor covering for both style and practicality. We bring our extensive samples to you which allows your ideas to unfold in the natural light of your home alongside your furnishings and decor.